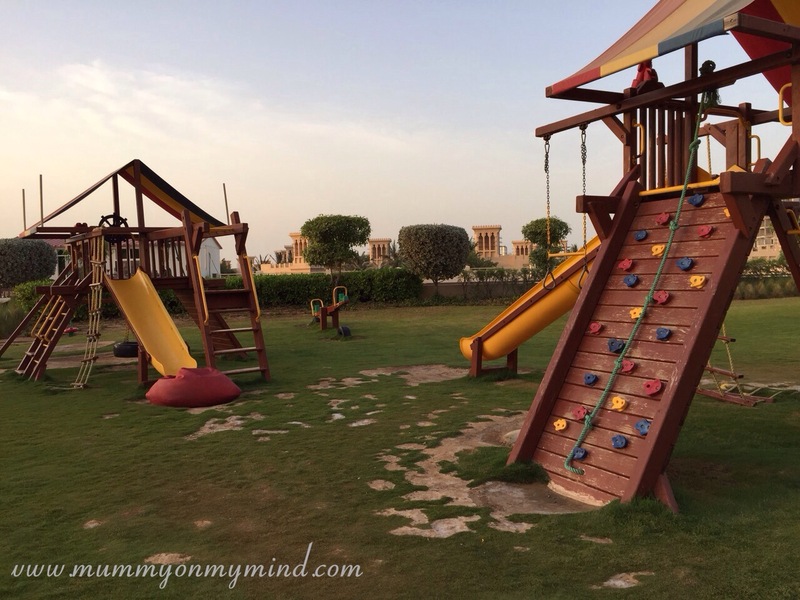 Last weekend, the husband, Baby Z and I left for a 2 night staycation at Al Hamra Resort in Ras Al Khaimah. 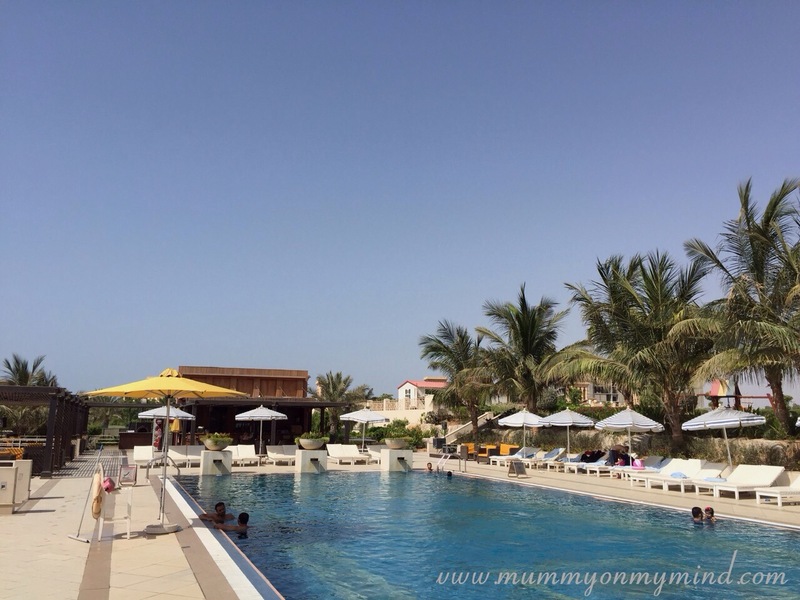 Upon arrival and after sipping our welcome drinks, we were told that we had been upgraded from the Al Hamra chalets to a suite in Al Hamra Palace Beach Resort. We couldn’t be more excited! 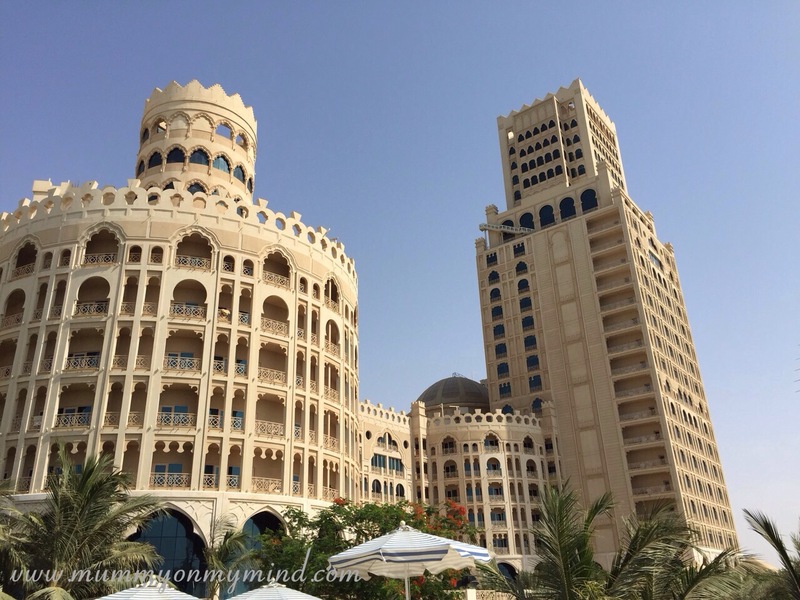 Al Hamra Palace Beach Resort was simply gorgeous, and every bit as regal as the name suggested. Their service was exceptional and we left feeling spoilt and relaxed and with family memories that will be cherished for many years to come. The architecture is breathtakingly beautiful. The building is like an ornate sand castle, decorated with palm trees and other lush greenery. You can’t help but admire your surroundings and keep pinching yourself to make sure you aren’t in a dream. Our spacious room for two nights! The kitchen in our suite: complete with fridge, oven and microwave. The huge bathroom, with His and Her sinks, a bathtub, shower and toilet. 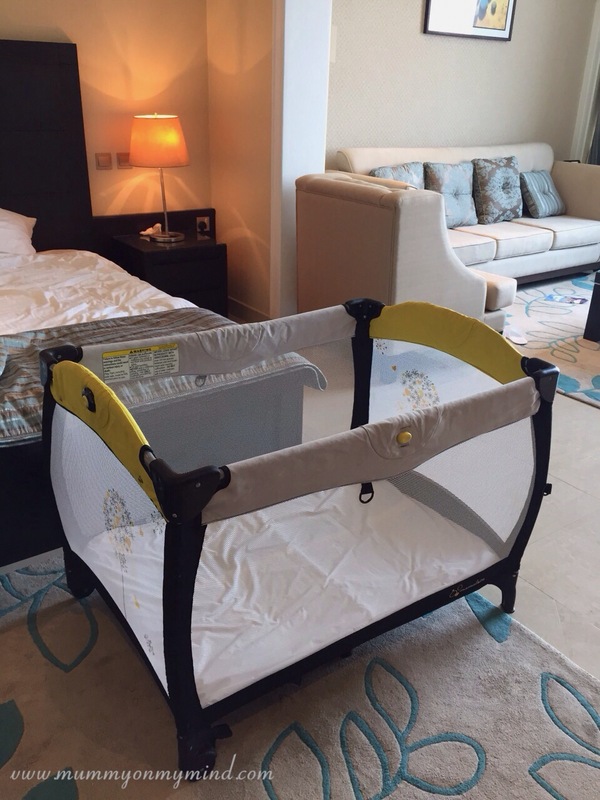 Baby Z’s travel cot for the two nights, provided for by the hotel. We were given a double bed room on the fourth floor of the resort. Baby Z absolutely loved it as soon as he set foot into the room, thanks to the humongous size of it, meaning that he could do plenty of running around inside. The suite was furnished with a small kitchen and a lush bathroom, as well as a living area with a television. Other amenities such as iron and hairdryer was also supplied. I was slightly dissapointed that the television kept doing that fuzzy grey static with the annoying Zzzzz sound, but since we were at the pool most of the time, not much television was watched anyway. Baby Z walking towards the swimming pool area and beach behind the resort. 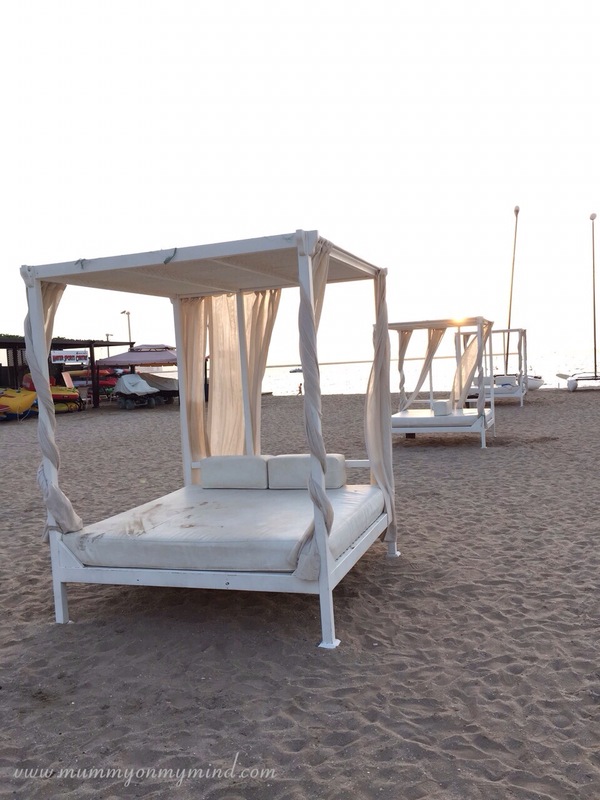 Beach beds allowing us to enjoy the sunset as we relaxed on the beach. The beach and pool area was simply amazing. We spent most of our stay lying in the pool. 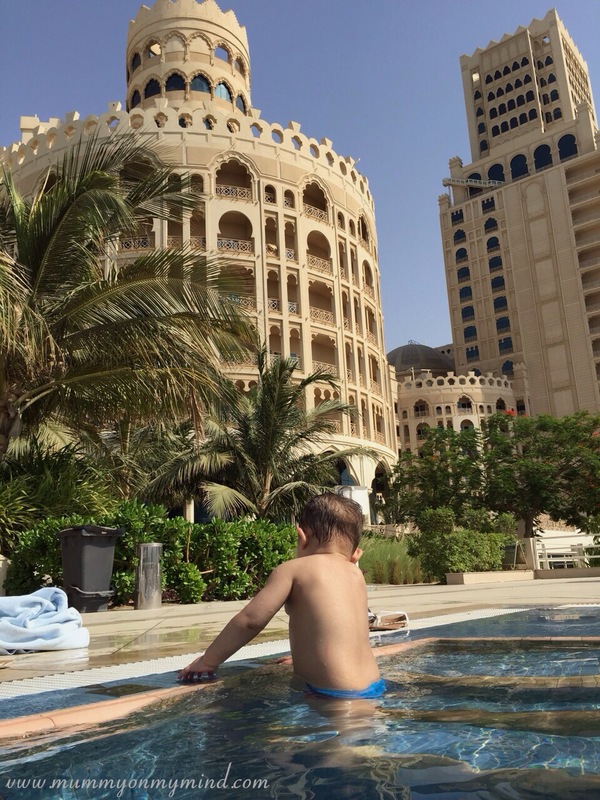 I was so glad that Baby Z took to the pool like…well like a fish to water! He would squeal with excitement as we splashed water on him and loved lazing around in his safety tube, watching all the other swimmers, whilst me and the husband relaxed. Baby Z enjoying a dip in the swimming pool. He was absolutely loving it! 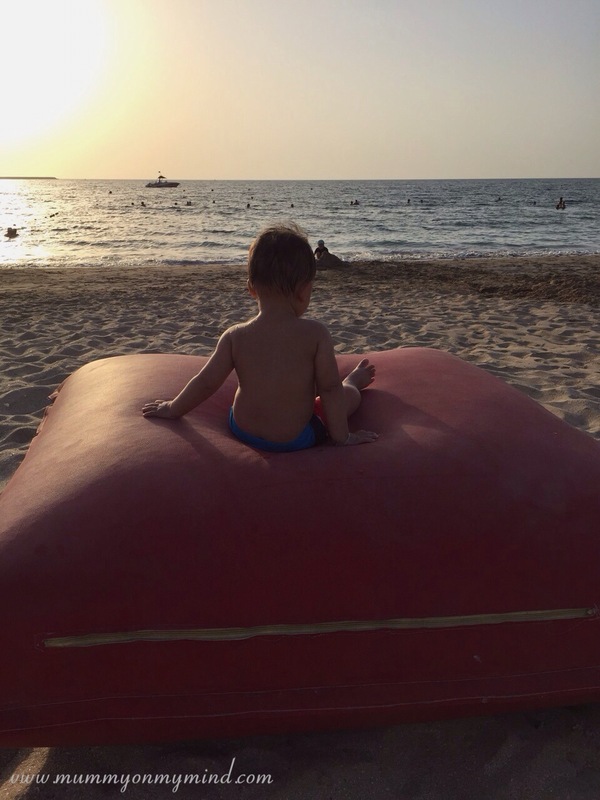 Baby Z relaxing on the beach side on one of the large comfy bean bags. 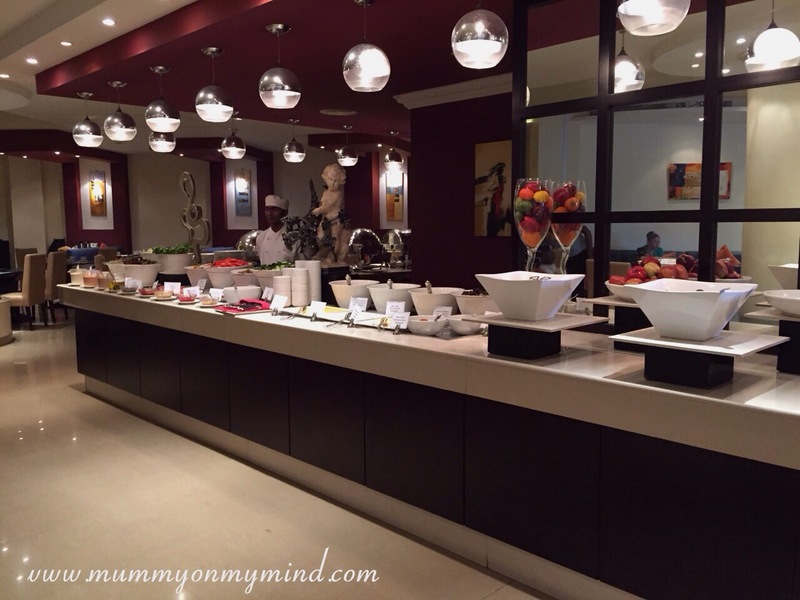 The Breakfast buffet was lovely with all sorts of food being served from cereal to french toast. The staff was lovely and always waving at Baby Z as they passed. I particularly enjoyed their pancakes and selection of cheese. The chocolate muffins and donuts were also delectable, but I did feel they weren’t as fresh the second day as they were on the first. Overall though the service was great and we left with full stomachs. 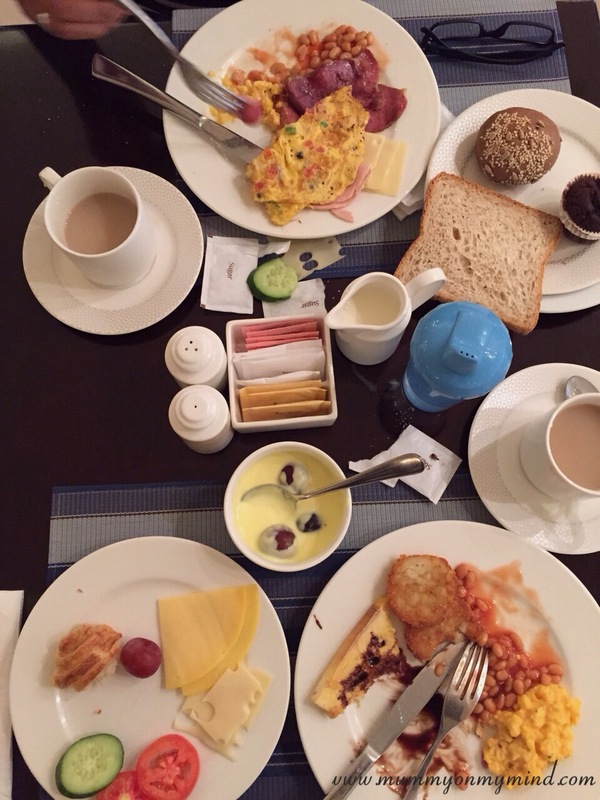 Next Morning: Breakfast Buffet served by lovely staff. Breakfast Time with the Husband and Baby Z. The view from our room window was so beautiful. It overlooked the entrance, the golf area and the chalets that we were originally going to stay in. 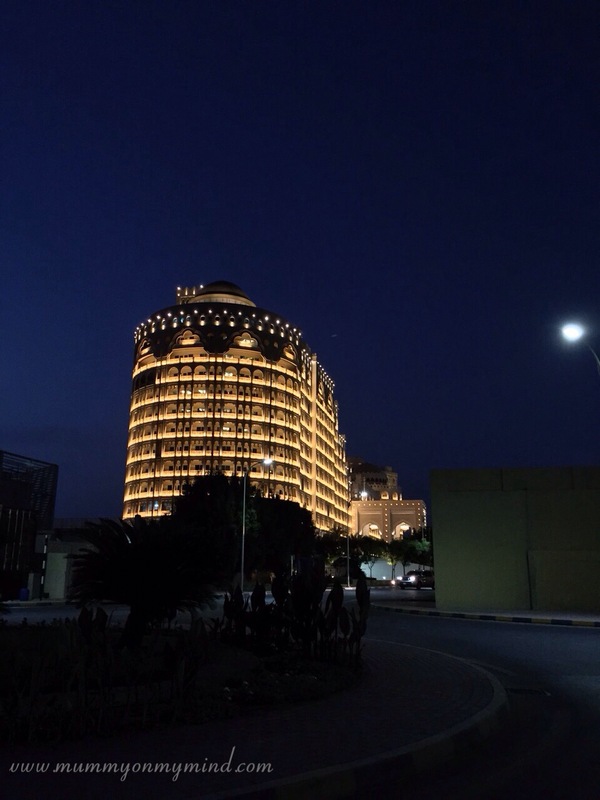 The entire building was lit up at night like a beacon, and that is exactly the type of excessive act I would expect from a palace beach resort in the United Arab Emirates. On the second day of our stay, I left Baby Z with my husband and enjoyed my first ever Thai back massage for half an hour. It was quite an experience! The masseuse was lovely and though I was expecting only my back to be massaged, my head and legs were also given a treatment. This being my first back massage experience, I was not prepared for how painful it can be! The masseuse worked her magic and I heard my spine crack in a musical way under her experienced fingertips. Though I was quite alarmed the first time, she quickly put me at ease and by the end of the half an hour session I was left relaxed and feeling rejuvenated. I must admit that I did feel the massage was a little pricey, and the only reason I did splurge was because it was those “Once in a year” treats I thought I simply had to give my self. Come on, I totally deserved this for being a mother to an active one year old. 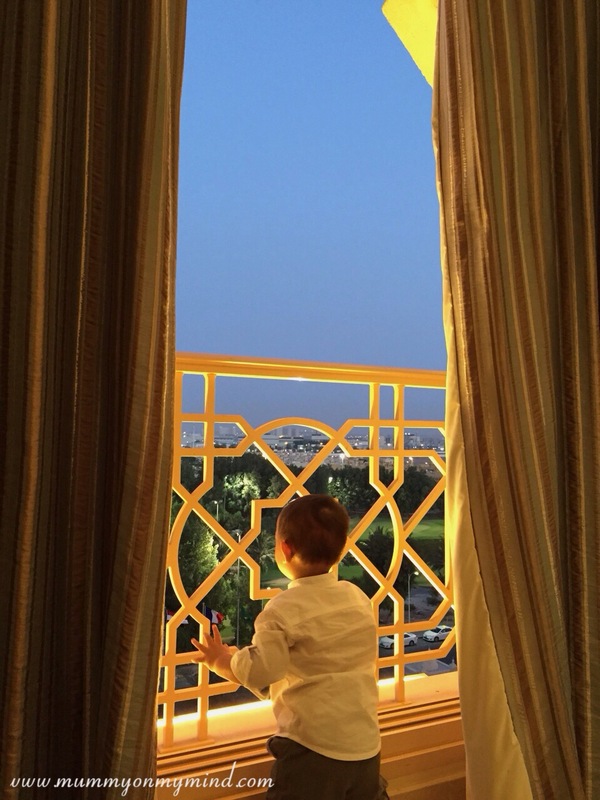 Our two night stay flew by far too quickly, but it was thoroughly enjoyed by all of us. I am so thankful that Baby Z loved lounging in the pool so much. I am sure if he didn’t like the water then I would currently be narrating a horror story to you all. 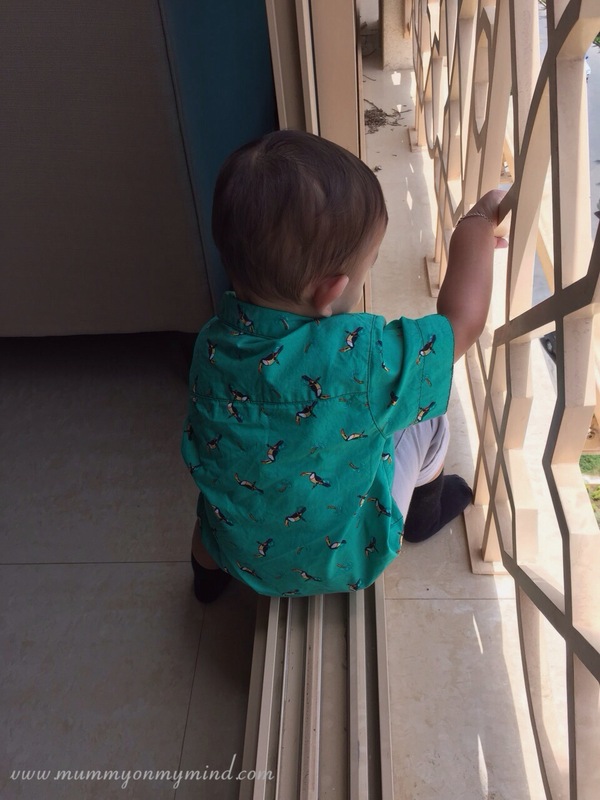 Baby Z enjoying the view outside our room…and trying to climb out! Thank goodness for the barrier! 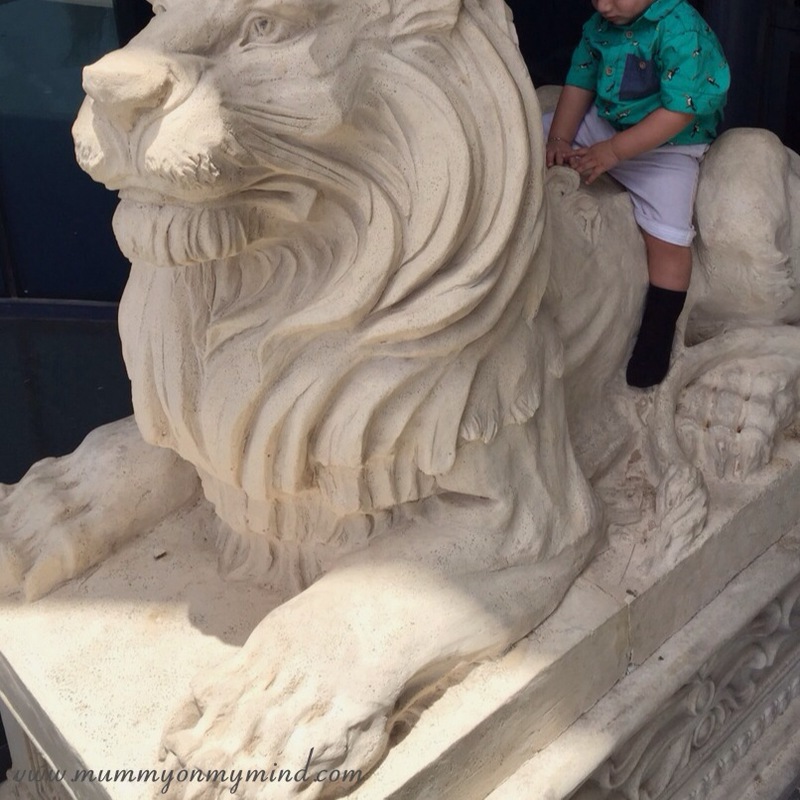 Baby Z posing on the lions at the entrance of the resort. The gorgeous view outside our room. An Oasis in the middle of the dessert! The resort is lit up so bright that it can be seen literally from miles away! 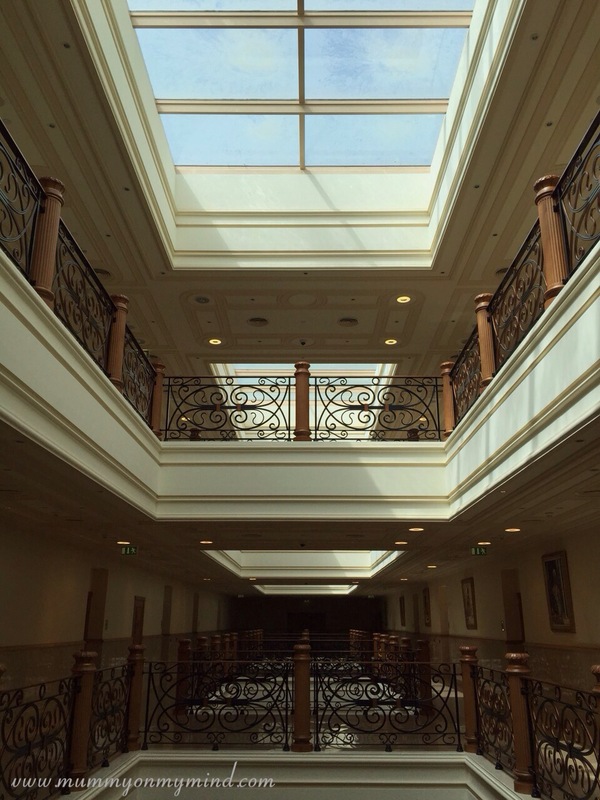 Thank you Al Hamra Palace Beach Resort for your hospitality. We thoroughly enjoyed our short stay, and wished we could stay a little longer! 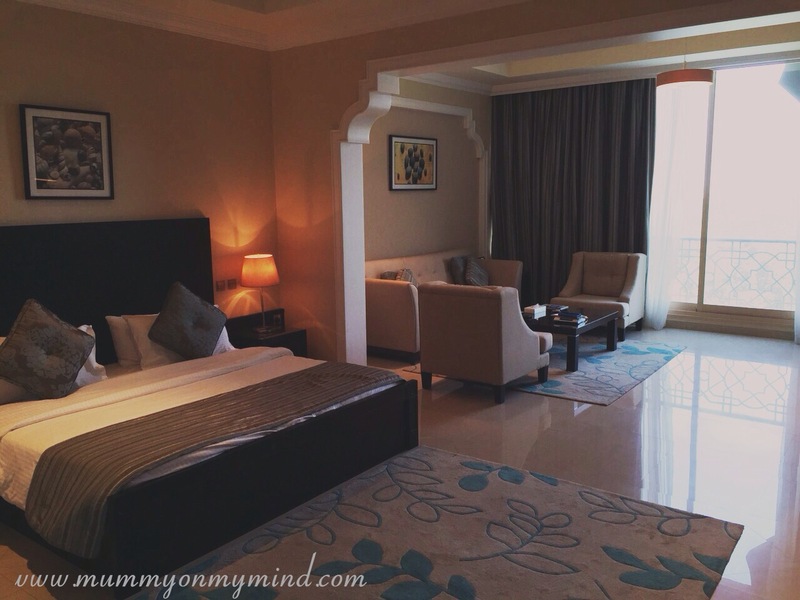 Note: We were not asked to or paid by Al Hamra Palace Beach Resort for this review. All costs for this trip were paid by my husband and I. Therefore, all opinions in this blog post are honest and my own. 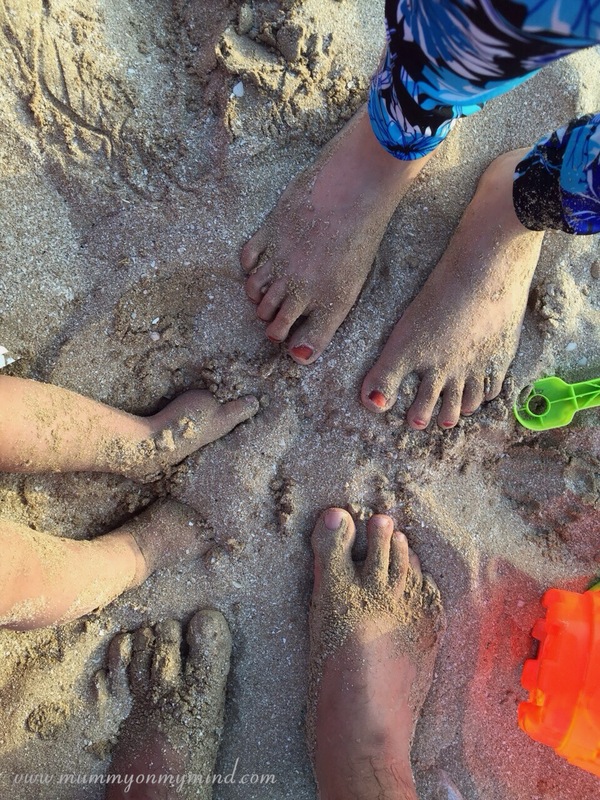 Where was your last staycation? Feel free to share your thoughts in the comments section below! Looks like a great place to take small children! We had a fantastic trip to north Wales last summer, totally unexpected how much we would enjoy it (I think it helped that the weather behaved!). 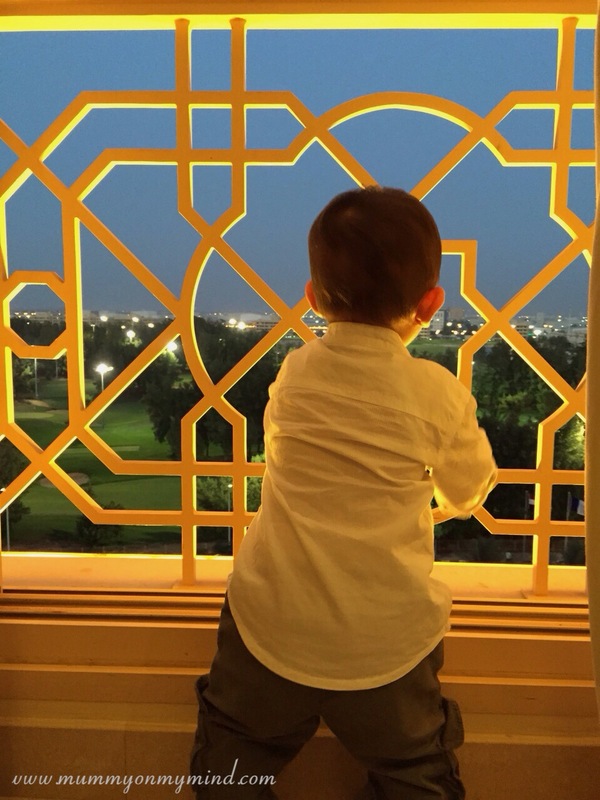 Sometimes I think having somewhere that is quick and easy to get to – as opposed to a 12-24 hour journey – really can make your holiday a more relaxing experience than going abroad. Weather is always one of the biggest benefactor for sure, but you’re right, sometimes a nearby location makes all the difference! Thanks for stopping by! ? That looks like an idyllic break! It really was! ? Thanks for stopping by. Haha it really was such an incredible stay!